This History Channel funded Werner Herzog's foray into 3D filmmaking is a pretty straightforward documentary. Only it's in 3D. It is a rightful companion piece to Encounters at the End of the World where he explored otherworldly beauty of the world beneath the icy Antarctic Ocean. This time, it's the Chauvet cave of Southern France, home of the 32,000 year old cave drawings. Pristinely preserved by landslide covering up the entrance, the exquisite charcoal drawings of lively animals- lions, wooly rhinos, horses and bison had been untouched by natural elements and humans alike until the 1990s. Just how he convinced French Cultural Ministry to give him the access for filming inside the fragile caves is a total mystery to me- another great addition to Herzog myth I'm sure. Armed with a custom made small 3D camera and with the crew of 3, he shows us under the dim, battery operated cold panel lights (because any other light will damage the delicate environment), the interior of the cave. The crystals glisten, unreal stalagmites and long extinct animal bones adorn the surroundings. But it's the drawings on uneven contour of the walls that are truly breathtaking. If it were shot traditionally, Cave of the Forgotten Dreams would still be an interesting documentary. At first, this 3D project has an air of excess but after a while, it becomes a fitting, not too obtrusive addition. 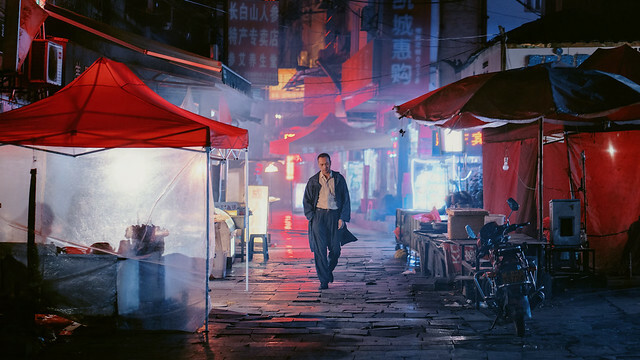 With the help of Ernst Reijseger's gorgeous string arranged and choral score, Herzog lets you in the once in a lifetime experience in a truly unique way. 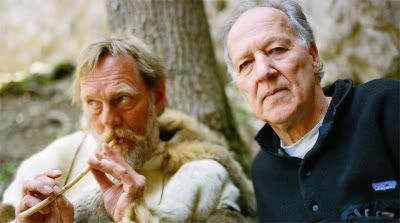 Whether it was because of its confounding environment or limited resources for Herzog to go all out with his usual operatic visuals- he and his crew were only allowed on 2 feet wide tracks laid upon the surface and 4 hours a day maximum shooting time in the caves, the film is much more introspective. Perhaps it's being in the presence of the transcending, awe-inspiring 30.000 year old charcoal drawings made a cerebral filmmaker like Herzog to turn spiritual? Or seeing god's face in Quaker Oats container in My Son My Son, What Have Ye Done count as earlier indication? This little experiment (said to be the first and the last 3D film by him) confirms that Herzog does whatever he feels like, never following trend, but with astounding consistency. It fits within his body of work very smoothly. There are many Herzogian moments throughout the film to make diehard fans giggle- (un)intentionally hilarious interviews with kooky scientists and at one point, he says "mutant radioactive albino crocodiles" in his inimitable accent and it's intriguing enough to satisfy general movie going public.